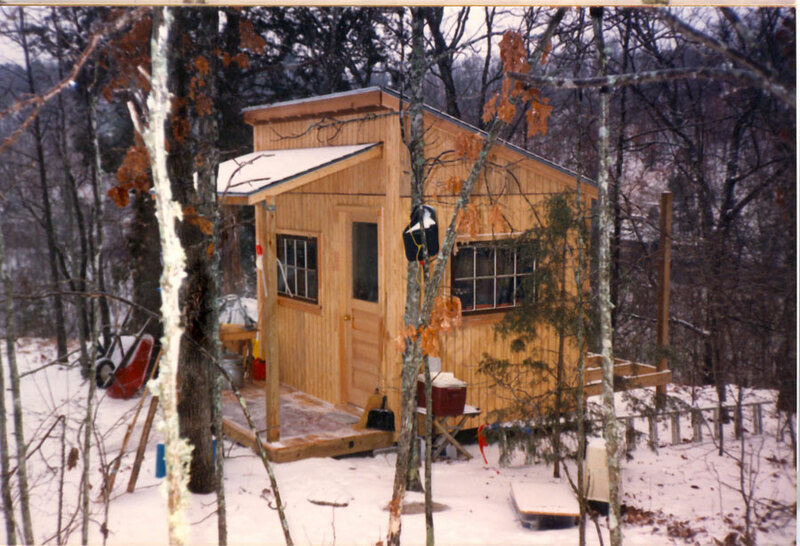 Winter scene (probably around March 1989), cabin No.1. Construction is started on additional storage space in back. Snow is rare in the Ozarks and usually melts away after a day or two. 1989, scanned color print, 3 x 5 in. (7.62 x 12.7 cm). Ozark Series. © 2008 by Allen C. Benson.